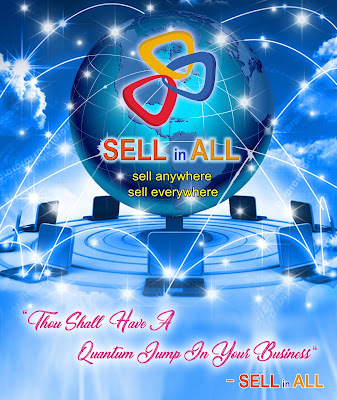 SELLinALL Blog: "Thou Shall Have A Quantum Jump In Your Business" A Prediction to the online sellers from SELLinALL!! "Thou Shall Have A Quantum Jump In Your Business" A Prediction to the online sellers from SELLinALL!! "Thou Shall Have A Quantum Jump In Your Business". This is the prediction to the clients of SELLinALL. This is not a tall story. SELLinALL's adaptability to the clients needs which has led to its transformation in its business model, has made this prediction true to its saying. In the year 2015 Asia's largest techmedia platform "e27" adjudged SELLinALL, as one of the top 10 startup companies out of 100 best startups from 14 countries around the world. This has given SELLinALL a momentum and it has built 1000+ satisfied clients in its fold. 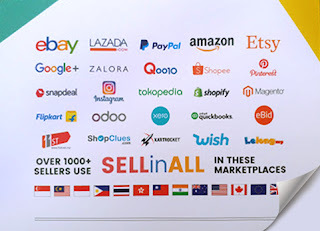 Dear Readers, with SELLinALL, be a front runner and grab a lions share out of the US$.1.8 trillion, fore-casted e-commerce sales for year 2018. 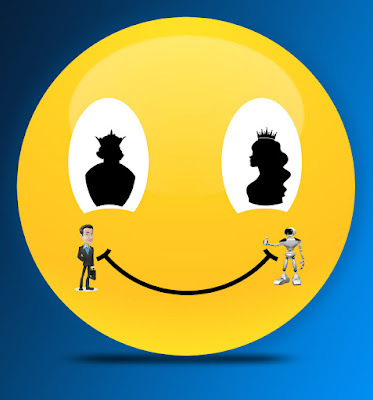 Await for the next blog, detailing the PARADIGM SHIFT, SELLinALL made to achieve the 1000+ satisfied clients.